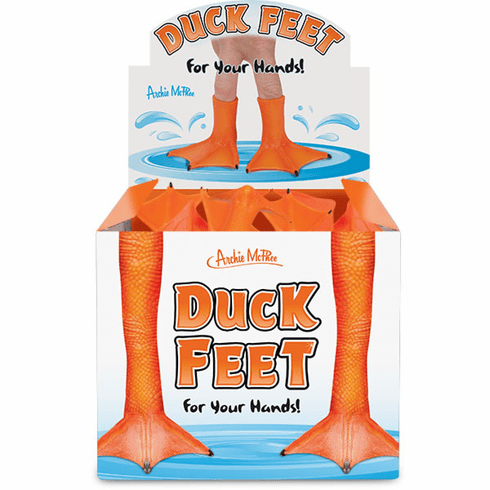 Putting these Duck Feet on the tips of your fingers and walking through puddles will have your friends quacking up! These appealing 2-1/8" (5.4 cm) webbed wonders are made of soft vinyl. They wonêt help you swim, but your hand will be waddling up a storm. There are 60 feet in each illustrated display box.